“Holy Father, keep through Your name those whom You have given Me, that they may be one as We are” (John 17:11, NKJV). The unity among disciples for which Jesus prayed is a precious gift of God: this gift must be continually nurtured and is a never-ending and often difficult task of those gathered in His name. Thus the apostolic church could engage in vigorous discussion and even robust disagreement with the assurance that each member’s personal surrender to the Spirit would result in a God-honoring resolution to the challenges and conflicts so that the essential unity of the church was preserved and extended (Acts 15:1-29). Disagreement in such a community of faith is neither fatal nor schismatic, for each believer accepts the responsibility to fulfill the prayer of Jesus by acting and speaking to preserve the unity He expected as indicated in John 17. Unilateralism—the premise that one individual or one group may pursue its vision of truth at the expense of the unity of the whole—was and is the great adversary of the unified Body of Christ. It ruptures the essential bond which brings people from everywhere into the remnant church, tempting them to prefer one truth above the higher and collective requirement to act in concert with each other. Appealing for a serious recommitment to the principle of church unity, the officers of the General Conference and the division presidents issued a call for restraint in their consensus statement of June 29, 2012, “An Appeal for Unity in Respect to Ministerial Ordination Practices”. Fully aware that significant differences exist regarding the theology of ordination and the appropriateness of ordaining women to the gospel ministry, they nonetheless urged all entities and individuals in the church to respect current Church policy and General Conference Session decisions, and to work harmoniously through the process established by the General Conference Executive Committee in October 2011. 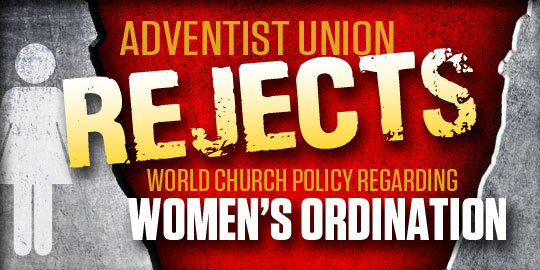 That action established a worldwide three-year study and discussion process culminating with a Theology of Ordination Study Committee which will review all aspects of the practice of ministerial ordination in the Seventh-day Adventist Church including the ordination of women to the gospel ministry, with reports provided to the October 2014 Annual Council meeting of the Executive Committee. This would allow any agreed-upon resolutions to be placed on the agenda of the 2015 General Conference Session, the body accepted by church entities and affirmed by the divinely-inspired counsel of the Spirit of Prophecy to be the official voice and the highest ecclesiastical authority of the church. The General Conference Executive Committee, the highest deliberative authority of the worldwide church between General Conference Sessions, includes nearly 120 union conference and union mission presidents as voting delegates, along with elected officers, departmental directors, pastors, frontline employees and numerous laypersons. It was thus very disappointing to the senior leaders of the worldwide church to learn of the unilateral action taken by the delegates of the Columbia Union Conference at a special constituency meeting on July 29, 2012. That action is not in harmony with General Conference Working Policy—the collective decisions of world leadership that define the operating procedures and relationships applicable to all organizations. Further, the action sets aside the 1990 and 1995 decisions of the General Conference in Session respecting the practice of ordination. It pre-empts the process voted by the General Conference Executive Committee for the current study of ordination theology and practices by committing the Columbia Union Conference to a particular outcome before the study-and-discussion process is completed. In so doing, it asserts the right of one entity to place its conclusions above the principle of unity in the Body of Christ. By this action, the delegates have allowed for a principle of unilateralism and autonomy throughout their territory that can only be disruptive to the harmonious functioning of the Columbia Union Conference, as well as to that union’s relationship with the world church family. Unfortunately, some conferences, congregations, and individuals may try now to incorrectly cite the example of the Columbia Union Conference itself as justification for pursuing any independent course of action. It is possible that some who voted for the resolution on July 29 may not have fully understood the danger their action poses to the functional unity of their own region and to the wider denomination. 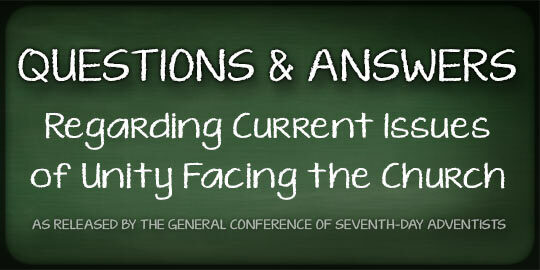 The action taken by the Columbia Union Conference represents a serious threat to the unity of the worldwide Seventh-day Adventist Church, and thus, at its next meeting in October 2012, the General Conference Executive Committee will carefully review the situation and determine how to respond. 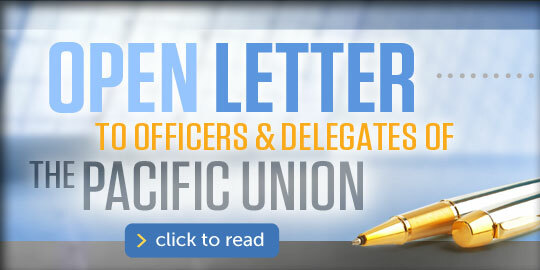 In the Spirit of our Lord and Savior, Jesus Christ, the officers of the General Conference and the division presidents again appeal to all entities, organizations, and individuals, including the Columbia Union Conference, to refrain from independent and unilateral decisions and implementing actions on issues affecting ministerial ordination, and to invest their energies and creativity in fostering a vigorous dialogue through the established process about how the Church should recognize and affirm the gifts of the Spirit in the lives and ministry of believers. An important companion document, organized as a series of questions and answers about key assumptions, assertions and historical backgrounds discussed at the recent Columbia Union Conference constituency meeting or in related communication, will be available approximately Wednesday, August 8, through the media outlets of the General Conference. 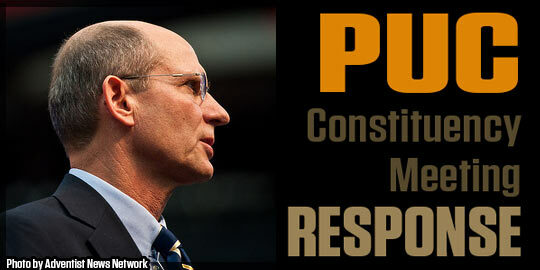 Sorry, but I do not have the faith some have in Ted Wilson, even though he is in some ways better than some Presidents in our past. Was amazed to hear him and his assistant on 3ABN confirmin ‘the church (meaning the SDA denomination, visible church, organisation etc) is going through to the end’ that it is the ‘apple of God’s eye’, and therefore all splinter groups should rejoin the church. This is NOT honest dealing! SDAs need to TOTALLY study, in full context, all such statements of EGWhite because they refer to the REAL church of Christ – the ‘true and faithful of all ages’ – NOT the SDA DENOMINATION, as the leaders continually and wrongly state!. We all know that just because our names are on the church rolls or we attend church in good standing does not mean we will ‘go through’ or be saved – the ONLY meaning of ‘the church that will go through’ where mentioned by Mrs White IS the ‘true and faithful of all ages’. This needs to be thoroughly confirmed with all she has to say on the subject, not just a few disconnected statements! Every SDA, and particularly all denominational leaders, should read the booklet by Vance Ferrell titled ‘Bringing It Back’ (Harvestime Books should be able to advise where to obtain this). Totally readable and not long, but clearly confirms that the ONLY church of Christ on the earth at ANY time. 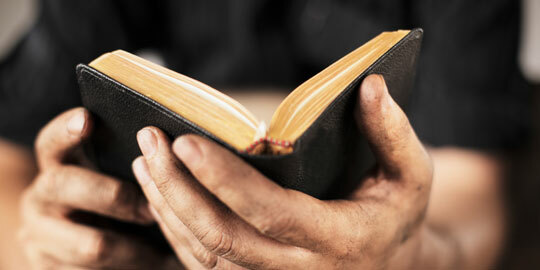 “God has a church upon the earth who are His chosen people, who keep His commandments” – TM p.50. The church organisation will NOT go through, people, nor any who are simply ‘connected’ to it by joining the SDA denomination! Only the faithful and true will ‘go through’, which of course makes total sense and agrees with Rev. 14:12 and other texts. The statement ‘the church may appear as about to fall but it does not fall” mentioned also by Ted Wilson on 3ABN has also been misquoted by many SDAs – 2SM p.380 puts this event only in the time of the National Sunday Law test, when most leaders and church members will apostatise under the severe test applied to SDAs. It is at THIS time that the faithful and true – the true remnant – will not fall – they will continue keeping God’s Commandments. This is what our people need to study, because they are being deceived on the subject, and need to know the need for repentance and obedience that God requires. Just because it’s the church to see it to the end, does not mean everyone on the books within the church are saved, take a look at the day of atonement in the sanctuary service. Too bad church policy is silent on this issue, eh? Mr Wilson has no claim on my soul. He himself brought the disunity. To hell with him. No, but your comment tells us who has claim on your soul at the moment. 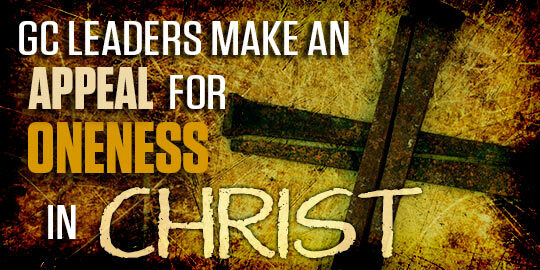 Deacon, elder, pastor are duties prescribed to men by God for specifically men. While it is true that the Holy Spirit came upon both men and women to send them into the world to deliver the gospel, men still had a role in the establishment and building of churches as well as their maintenance and spiritual way forward throughout the ages. Women have roles but are not to fill all roles. 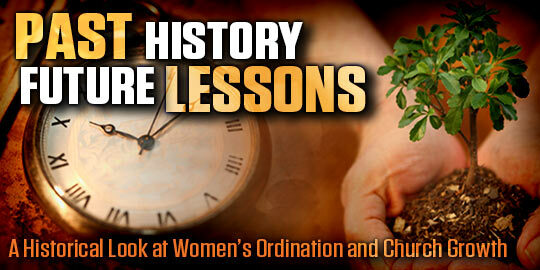 The real issue is, do we endorse women to fill the role of deacon, elder, pastor. I believe the bible is clear that the work done by the offices of deacon, elder, bishop (pastor) are to be fulfilled by men only. If not a single man within the church is found acceptable to fill the role, the church has much deeper matters to address and only make the matters worse by assigning the wrong designate to fill the role. 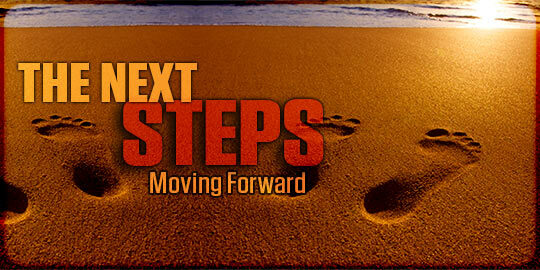 Our churches would be better unified if we followed the plans outlined in the bible.